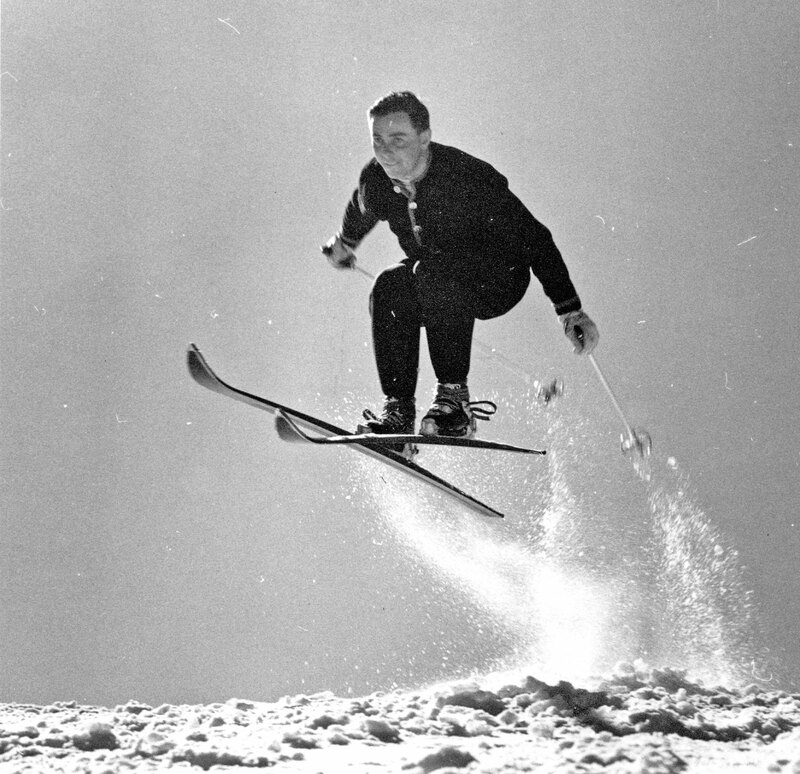 In 2019, for the 14th year, the New England Ski Museum’s Cal Conniff Grant program allocated $3,000 in grant funding to individuals or organizations consistent with the Museum’s mission to preserve the history of skiing and winter sports. The grants are funded with proceeds of the Hannes Schneider Meister Cup Race, held each March at Cranmore Mountain Resort in North Conway, New Hampshire. This year the successful applicants were announced on Friday, March 1, 2019 at the opening reception of the Hannes Schneider Race in Cranmore’s Eating House Restaurant. The Eastern Slope Ski Club, North Conway, NH: $1,000 for development of a pilot program with the Bartlett Elementary School to describe the history of skiing in the region and its importance to the local economy and social structure. The Granite Backcountry Alliance, North Conway, NH: $1,000 to cover expenses related to its program of developing and maintaining backcountry ski glades such as the Maple Villa project they completed last fall. Mt Eustis Ski Hill, Littleton, NH: $500 to purchase used ski equipment to distribute on a seasonal basis to area children free of charge. Northeast Slopes, East Corinth, VT: $500 to support the area’s after-school programming that serves the youth of the Waits River Valley School District. Northeast Slopes owns the oldest continuously operating ski tow in the United States. Cal Conniff had a distinguished career in the American ski industry, culminating in 16 years as President and Executive Director of the National Ski Areas Association. Following his retirement Conniff’s energy and ski industry knowledge benefitted the New England Ski Museum, which Conniff served as a director, president, and founder of the Hannes Schneider Meister Cup Race. In recognition of those contributions, in 2006 the ski museum designated its existing grant awards the Cal Conniff Grant program. In November 2019 a call for applications for the 2020 Cal Conniff Grants will be posted on the Museum’s website. The deadline for applications will be in mid-February, 2020.
one representative photograph for publication if the applicant is successful. The Cal Conniff Grant Program is open to individuals, organizations and educational institutions with an interest in winter sports, such as Alpine and Nordic skiing, snowboarding and snowshoeing. Any group that can demonstrate the need for funding for education related to snow sports, preservation of skiing history, or encouraging participation in skiing and riding is eligible. the applicant’s degree of organization in the pursuit of the project. The Eastern Slope Branch of the New England Ski Museum has been open for more than a year. Visit us at 2628 White Mountain Highway, North Conway NH, just south of Schouler Park. The long-time location at Franconia Notch State Park remains open, and we are happy to be able to exhibit skiing history in two locations! 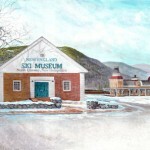 Friday June 21, 2019, 5 to 7 p.m.
New England Ski Museum is a member supported non-profit organization dedicated to the history of skiing. We offer permanent and annually-changing exhibits, and invite you to visit our museum in beautiful Franconia Notch State Park, New Hampshire. Admission to the museum is always free.